So much for the idealized notion that lessons learned from the financial meltdown brought accountability to the banking industry. Top executives at Wells Fargo have thus far managed to dodge any responsibility for their role in a yearslong scandal that last week earned it $185 million in fines, including a $100 million levy from the Consumer Financial Protection Bureau — the largest the watchdog agency has ever assessed. The bureau said that beginning in 2011, Wells Fargo employees routinely used legitimate customers’ names to create phony credit, debit, and checking accounts — as many as 2 million – in an effort to meet sales goals. The banking giant didn’t confess to wrongdoing, but said that over the last five years it has fired 5,300 mostly low-level workers who took part in the scam. Executive suites remain fully occupied. There’s no excuse for the employees’ deceptive — and illegal — practices, but immense pressure from management to satisfy overly ambitious quotas helped make rule-breaking the norm. Compensation in Wells Fargo’s retail banking division was largely based on workers’ ability to cross-sell — getting customers to sign up for multiple accounts and services. It’s the kind of practice that in 2008 pushed the global economy to the edge of ruin, and an indication that oversight of the nation’s major financial institutions needs more muscle. Incredibly, the executive who ran the operation is being rewarded. 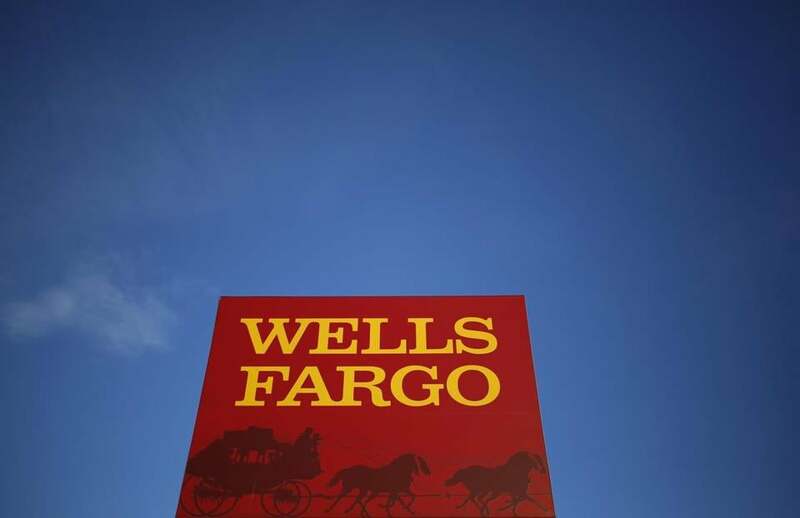 In July, before the fines were made public, Wells Fargo said community banking head Carrie Tolstedt would leave at year’s end, taking with her a parting package worth $124.6 million. At the time, Wells Fargo chief executive John Stumpf called Tolstedt “a standard-bearer of our culture” and “a role model for responsible, principled and inclusive leadership.” Yet that leadership apparently didn’t extend to understanding what was happening on her watch. But it doesn’t look like the Wells Fargo board will push Stumpf out, and he’s not planning on resigning. Why quit when you can blame underlings by the thousands? The bank’s leader no doubt will be asked about his status, and Tolstedt’s payout, on Tuesday, when he is scheduled to appear before the Senate’s Banking, Housing, and Urban Affairs committee hearingrequested by five Democratic lawmakers, including Warren. Wells Fargo has the ability to take back some of Tolstedt’s millions, but regulators can’t force the company to act. Closing that loophole should be part of the discussion when the Senate panel convenes. The consumer agency was established in reaction to the rampant recklessness that led to the 2008 economic collapse and resulting recession. The Wells Fargo fine is exactly the type of punitive action the consumer agency is supposed to take to deter such behavior from taking hold today. The company’s response, however, shows that at least some of people in charge of powerful banks and brokerages still stubbornly believe they are exempt from regulation. “It’s a reminder that there is no shame on Wall Street,” says Warren, who sits on the banking committee and plans to grill Stumpf if he shows up on Tuesday. Not only did the nation weather the financial crisis; so did arrogance and greed. Should anyone really be surprised?